Wall to wall carpeting adds an elegant flair and a warm ambiance to any space. But it can be hard to maintain. Since wall to wall carpets are rarely replaced due to the process it requires, it is extra important for owners to maintain a cleaning schedule for this type of carpet. Over time, dirt, dust, pet dander, allergens, spills, grease & other particle settle deep within the carpet’s fibers. This causes poor looks & poor air quality in your home or office. 1. Vacuum. Using a good vacuum cleaner weekly will help you remove any loose dirt that can cause damage to carpet fibers & poor air. Make sure to vacuum your carpets at least once a week. Extra Tip: Use the hose attachment to reach into tight spaces. 2. Treat Stains Fast. When food and drink spill on your carpet, make sure to blot the spill using a damp cloth as soon as possible. Do not rub the spotted area, as this will grind the stain into the fibers making the spot grow larger & more difficult to remove. Extra Tip: When dry, vacuum the pile. 3. Call a Professional: It is advisable to use a carpet cleaning service to deep steam your wall to wall carpets at least once a year. Carpets get soiled & dirty over time; the only way to restore the carpet’s look, prolong its life & keep your space clean & healthy is by having a professional carpet cleaner shampoo & deep clean your wall to wall carpets. A professional carpet cleaning company will be able to perform heavy duty cleaning and remove any hard stains such as pet urine, food & drink stains, etc. as well as reduce airborne allergens. 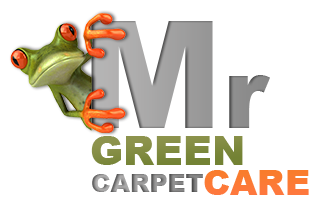 Mr. Green Carpet Care provides complete carpet cleaning, stain & odor removal services for residential or commercial spaces in NY, parts of NJ and CT. 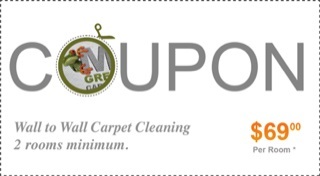 Call us today at 1-877-444-6364 and get a quote for a carpet cleaning service today.